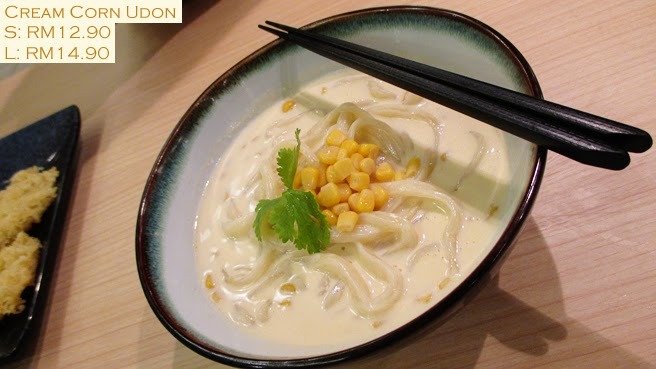 sabbyloh: Manmaru Homemade Udon @ MidValley. According to a close friend of mine currently studying in Japan, it means "perfectly round". Perfectly round homemade udon! Who wouldn't want that, eh? Damn those Japs, such perfectionists. 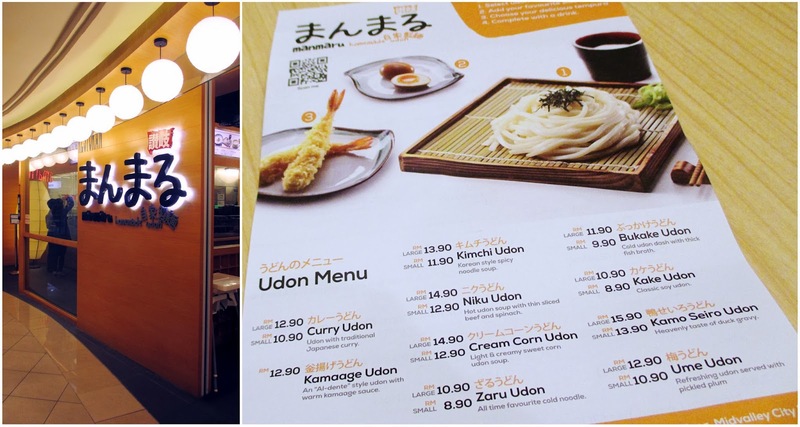 Here's an overview of their udon menu. They only serve 10 udon dishes, which is a great thing, because celebrity chef Godon Ramsay once said that a good restaurant shouldn't have a menu with an overly wide selection. 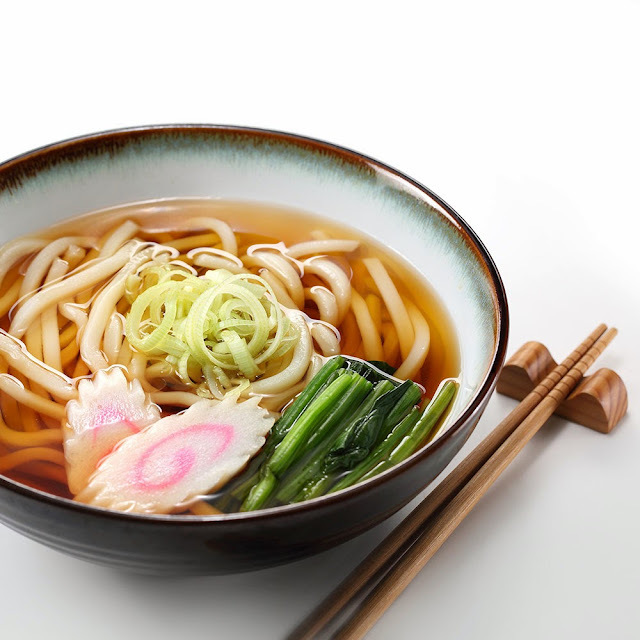 c. customers who view the udon-making process from start to finish prolly appreciate the noodles more, right? 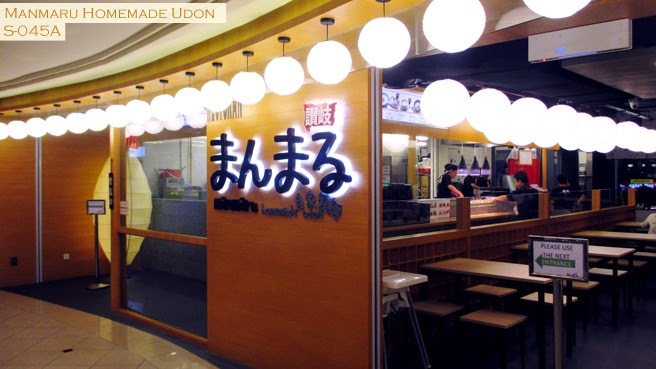 Speaking of the noodles, Manmaru boasts itself for serving only the best quality udons. After a quick chat with CEO Richard Khoo, I learnt that all the noodles are made in the restaurant itself, and the flour used is imported directly from Japan. He also recommends consuming the noodles within 15mins once ready, else they'll turn soggy and gross. 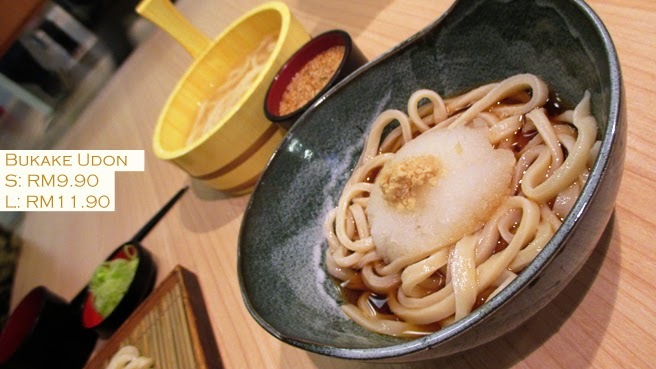 In Japan, most people enjoy gobble their udon meals standing up? This is so as to prevent them noodles from losing springiness. Oh, the Japs don't like being engaged in conversations as well, since it slows them down. 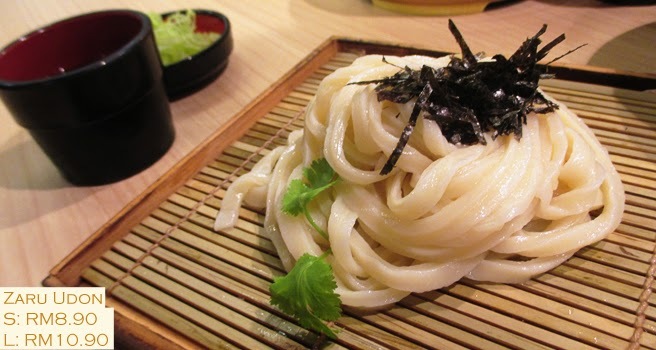 Actual udon noodles ought to be thick and have this springy, "boing-boing" sort of texture. Btw, they're supposed to be veeeery long. Check this out! 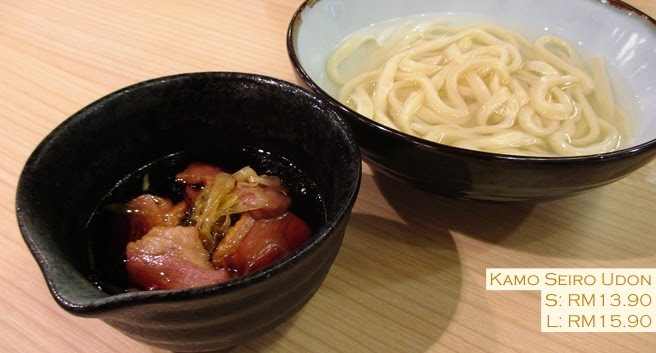 Okay, let's jump to the udon dishes now! While I enjoyed the slight kick of spiciness, I would have preferred it to be up a few notches. I mean, if you're going to localise the dish, might as well go all out, right? A simple, traditional dish. 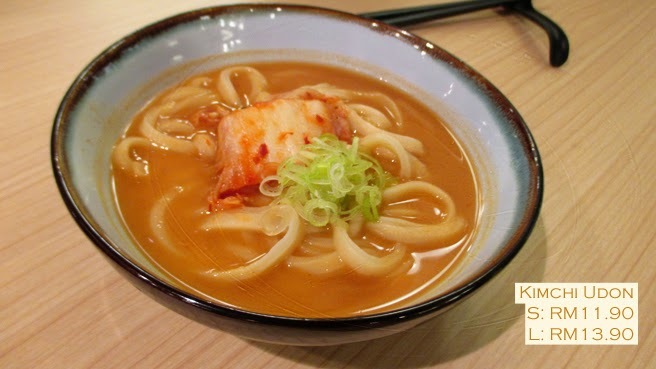 The proper way to consume this is by dipping the udon into the small bowl, making sure each strand is evenly coated with hot soy sauce and dashi. 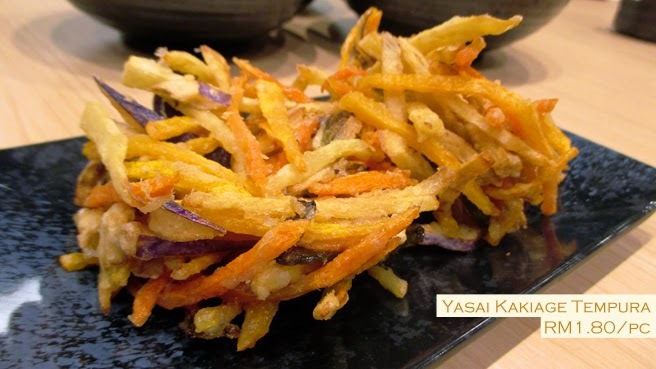 This alone may be a wee bit plain, so be prepared to order some tempura side dishes for a more wholesome meal! THIS. OMG. FAVE. I love this one!! If you follow me on Twitter, you'll know I've been eating ready-made carbonara sauce straight out from the jar recently, HAHAH. So you can imagine how crazy I was over this dish! The base was thick enough and unbelievably creamy (weight-watchers stay far away), and the chunks of corn gave a hint of sweetness. SO GOOD. 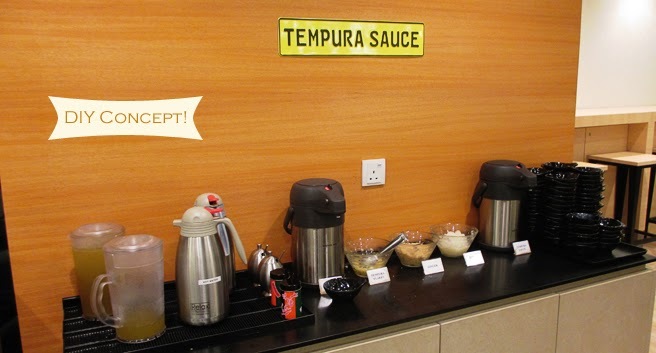 Confession: I drank all the creamy sauce even after the noodles were gone. Have you tried the Japanese plum liquor Choya Umeshu? It's said to be more of a ladies' drink since it's a combination of sweet & sour. Maybe that's why I found this interesting. I like sour plum. The hint of sourness made everything I ate more appetising! Something different, this one. But the next dish is :O :O :O REALLY DIFFERENT. But it ought to be enough to put a temporary stop to your kimchi cravings. Another personal favourite!! I love this one for the smoked duck! We can ignore the bowl of noodles 'coz it's very bland and mehh. The duck slices, omg. The meat was juicy, so very flavourful and tender.. So yummy. I asked Richard for a second serving of smoked duck, hahah. 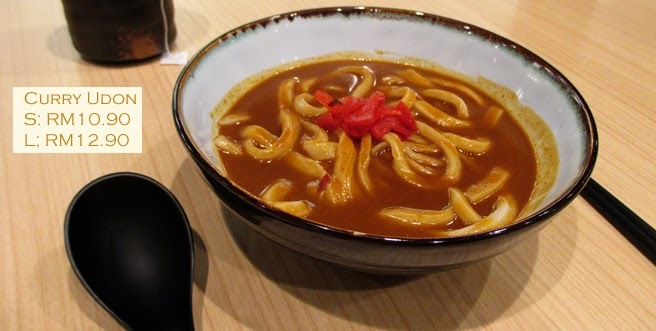 The gravy in which the slices were served leaned more towards to salty side, which I felt was okay as it balanced the otherwise plain udon broth. 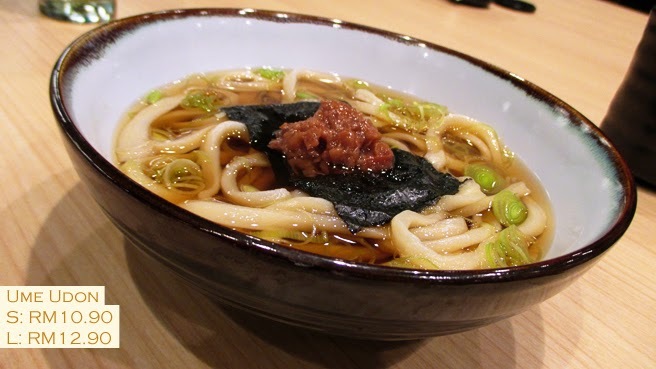 I'm not normally a fan of cold udon, but I liked this particular dish. For some reason, the noodles felt chewier chilled! A cold dish is great in our 24/7 summer heat too, heh. The "boing-boing-ness" of the udon went well with the cripsy seaweed shreds and cold dipping sauce. Ask for extra seaweed and you'll have mini firecrackers going off in your mouth, hahah. Super crispy! Cruuuunch crunch! You know how sometimes food can smell/taste overly fishy? Yeah, this is one of those dishes. My least favourite. The fish broth was overwhelming and it was altogether just off-putting to me. And the strong taste of radish clashed so badly with the fishiness.. Oh, did I mention how it's served chilled as well? I took a whiff though, and it smelled great! Looked damn appetising and yummy also la! Plus, some of the other food reviewers said it was really good! Sigh. Those of you who can take beef, order and give me feedback, k? From what I heard, this is Manmaru's bestseller. BUT, I didn't find anything so special about it lo! It's just simple and plain and common. Of course, the noodles still have the awesome springiness to them, but it's too ordinary for me to justify travelling all the way to MidValley. Wait! 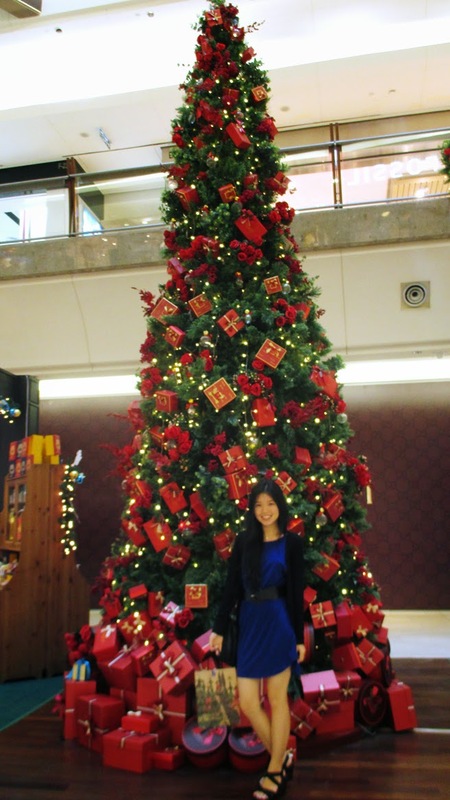 Manmaru has more to offer than just udon! 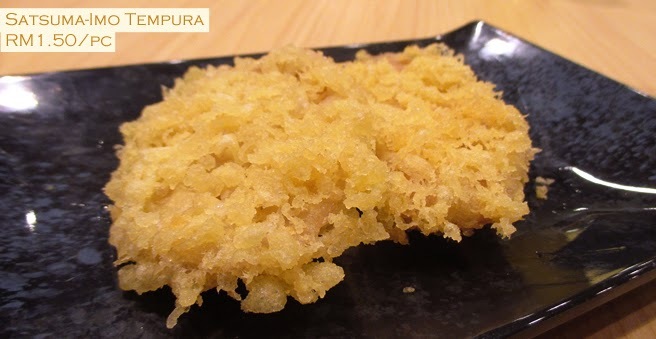 Let's move on to their Tempura Menu. 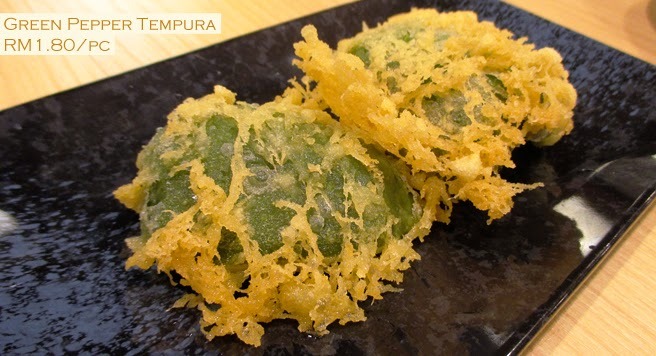 This is like the mother of all Tempura items. 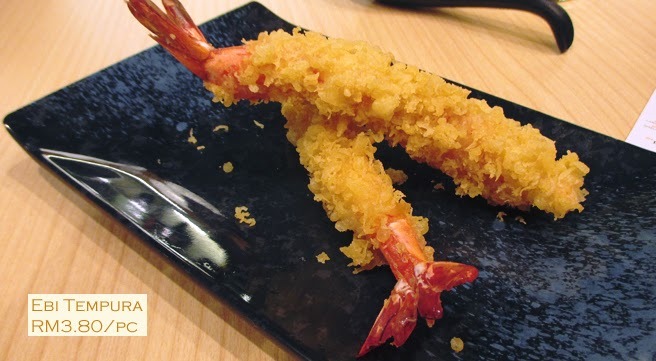 Famous deep-fried prawns! 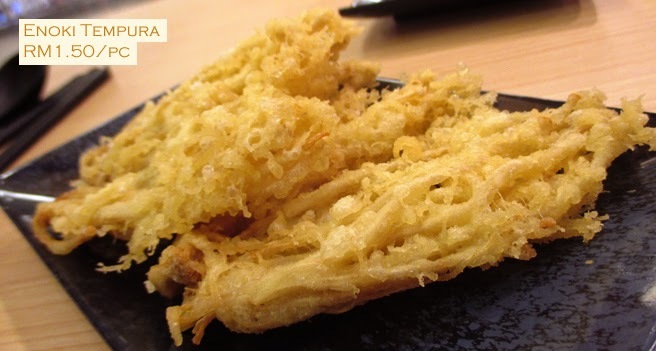 Deep-fried golden needle mushrooms. ME LIKEY! 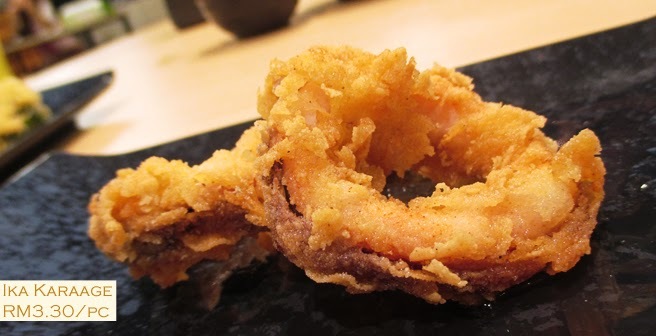 Deep-fried calamari! Crispy on the outside, tender and juicy on the inside.. NAISE! 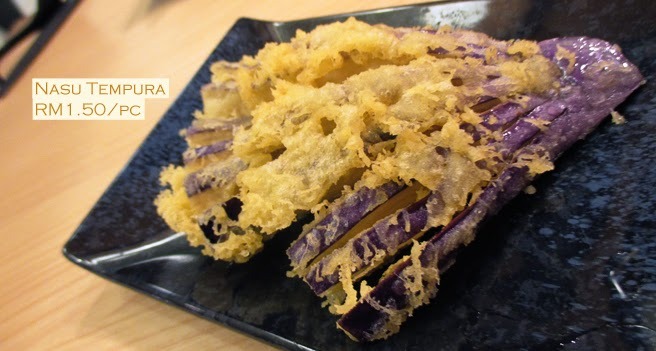 Deep-fried eggplant. I felt it was a bit too greasy. Dip this in tempura sauce and nomz away! I need to emphasise how much I raved about this the other day at the food tasting session. It's like KFC, but better! 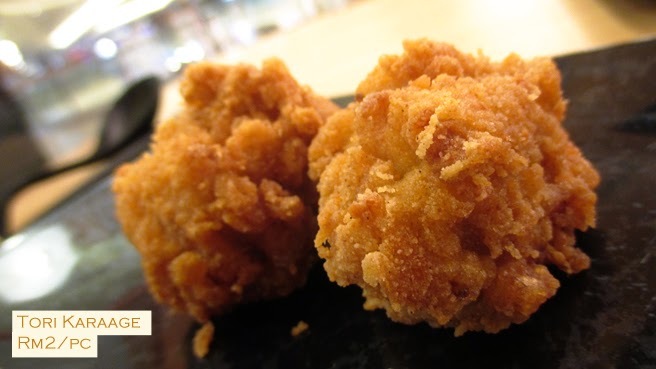 Japanese fried chicken! Deep golden-brown crispy crust, but once you get to the meat, it's so tender and heavenly! 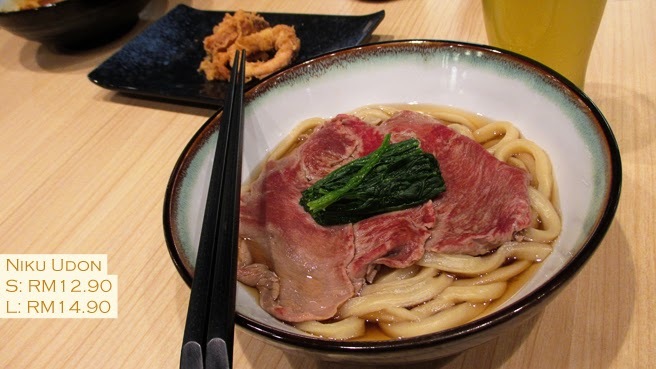 Overall, it's definitely more savoury than the other deep-fried dishes, but that's good cause it gives the udon dishes an extra oomph! 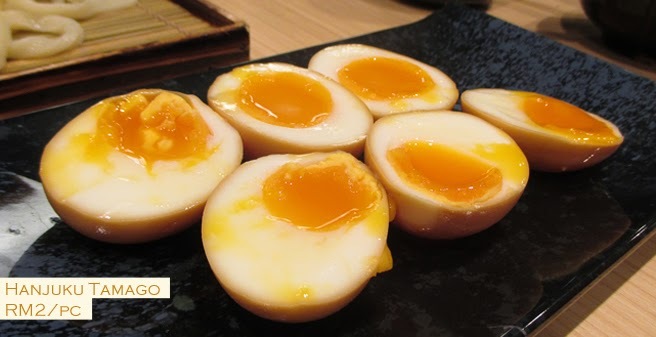 Also, they have this wonderful side dish of soft-boiled eggs! I love how the yolk is still soft and ooey while the egg white's already firm and well-flavoured. They remind me of chocolate lava cakes, but in egg form HAHAH. There's a self-service counter at a corner of the restaurant where you can get your green tea, ginger, soy sauce, radish, etc. The cold green tea can get slightly diluted though, cause they put quite a lot of ice in the container. And ice melts. Duh. 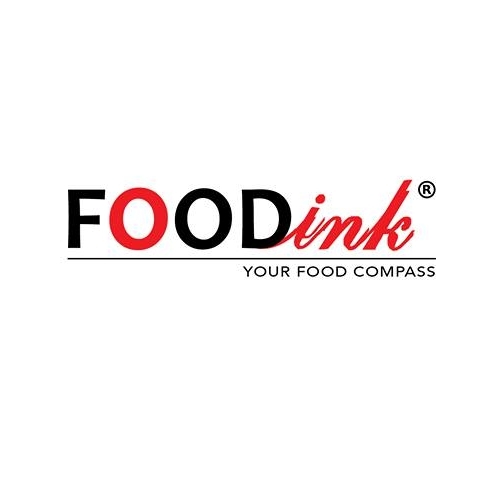 Whoop whoop, we're finally done talking about food! Now on to the first question I ask waiters when I step into a shop (even before ordering drinks): "Excuse me, do you have free wifi here?" Get this, Manmaru HAS wifi, but it's strictly for office-use only. I'm not being all drama-queen about them not sharing the wifi password with customers.. I think it's their loss. I think it's any eatery's loss if they don't offer consumers free wifi. You want free publicity? Offer free wifi. People these days tend to tweet/foursquare/facebook/instagram their whereabouts and what they're doing what they're eating. Social media super powerful okay! Share wifi password only what. Not everyone got 3G la. 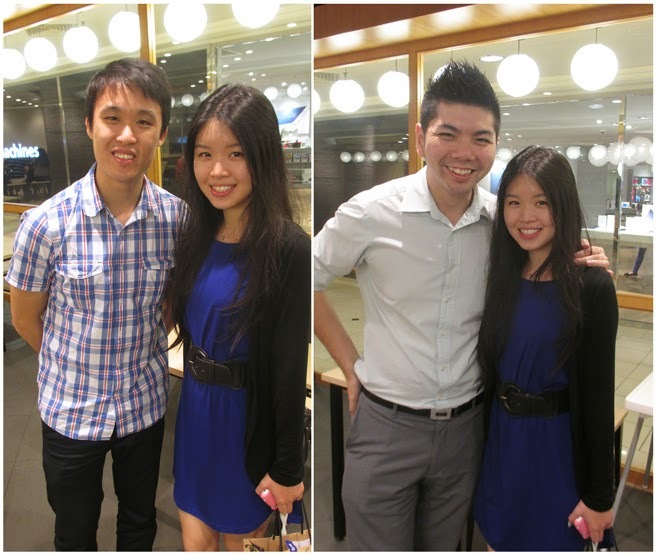 And I managed to take pics with CEO Richard Khoo (left) and famous foodstagrammer @taufolou (right)! I'm very particular about wifi hahah!